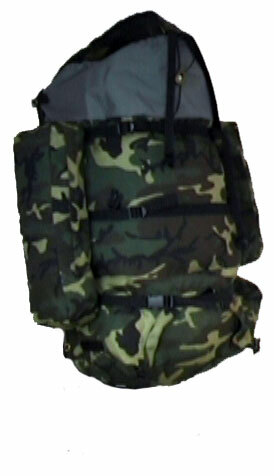 The Wilderness Wanderer backpacks are constructed of 1000 Denier Cordura nylon in regular colors or Woodland Camouflage. 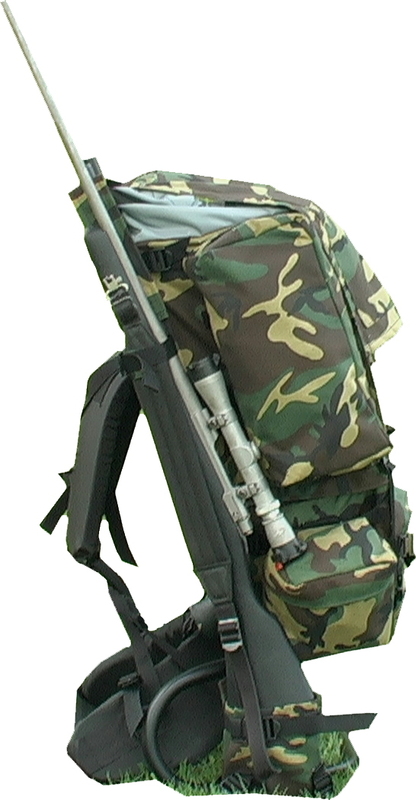 The Game Bag is available only in 420 Denier nylon (grey). 14" x 4" x 6"
attaches to compartments A, B, A-B, the Game Bag and the Canmore Bag. Colors match the compartments color except for the game bag. 18" x 4" x 6"
Mounts on the either side using existing pins, but you must specify for right or left side when ordering. 15" x 15" x 9"
30" x 15" x 10"